People wants real time search results included on SERP and that’s why search engines are keen to do that. 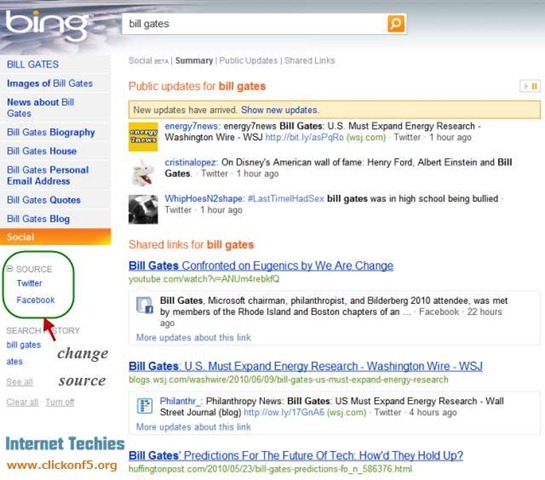 Like Google and Yahoo, Bing Social shows search results from Twitter and Facebook. This page of Bing helps people to find out the recent updates and social media buzz about any keyword. Go to Bing Social and type the keyword for which you want results from social media sites like Facebook and Twitter. You will get a list of search results differentiated in two sections : Public updates and Shared Links. 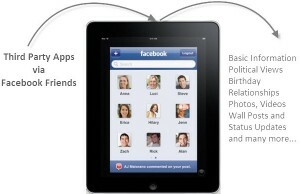 Shared link are different links shared between people on Facebook and Friends. This may have links from YouTube as well or any recent share on Facebook. It may be pictures, list or any thing. Public Updates are the normal twitter or facebook updates. Once your search will complete, the public update section may get automatically updated with some new content. You can see a “Play / Pause” button on top-right of the public updates section. You can pause the content update or may play that to get recent updates on the same keyword. I tried with the keyword “Bill Gates” and found the below results on Bing Social. You can see on the left panel, there is a section called “Source”. 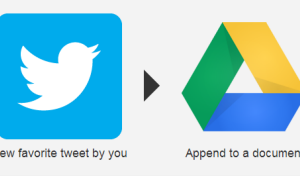 You can choose whether you want updates from Twitter or Facebook. To get more updates on the link shared in a section, click on “More updated about this link” provided below each link. This kind of real time search results provide you recent updates and buzz on these social media sites. Microsoft is well aware of the same and they have recently included Facebook in the source section. Try Bing Social and see what is happening around the world.